The repression carried out by the Mexican Government against those who construct alternatives unfortunately continues to be the order of the day. We have received numerous denouncements and alarming news in the last few weeks. As adherents of the space of struggle that is the Sixth and as fellow travellers of those who sow autonomy in Mexico from below, the General Confederation of Labour (CGT) wants to send a message of solidarity and mutual aid to those who struggle. We want to express our solidarity with the Binizza community of Álvaro Obregón in Oaxaca, members of the Indigenous National Congress. We want to send good spirits to the six people who were injured by the bullets of the municipal police of Juchitán, who had to deal with bullets trying to stop their dignified struggle to conserve their land. We demand an end to the project intent on constructing a wind farm on the land of this community, and we denounce the political imposition of megaprojects upon indigenous peoples. With equal concern, we denounce the dispossession of the land of the compañerxs of San Isidro de los Laureles, municipality of Venustiano Carranza, Chiapas. On May 12, members of the “white guards” serving the powerful expelled families of this community from their lands, a community that has embarked on a project of autonomy since December 2015. In the same municipality, in the community of Cruztón, a member of the Indigenous National Congress was retained and tortured by members of the group Nuevo Guadalupe Victoria. We send a fraternal salute to the compañerxs of the CNI and Semilla Digna in Venustiano Carranza. We hope that soon they can return to cultivate their recovered land, and that justice is served for the injured and tortured. After the recent three-year anniversary of the assassination of Juan Vazquez, attacks on the community of San Sebastián Bachajón, adherents to the Sixth, continue frequently. The tourist project for the zone of Palenque plans to be constructed on the land of this community, which has always refused to give up without a struggle. On May 8th, Esteban Jimenez Gómez and his family were attacked in their house by a paramilitary and his two sons (both federal police). We condemn this attack and we mark the gravity of the fact that these actions were carried out by the repressive state forces, without any level of government doing anything to prevent such actions. We want to denounce that the repression, orchestrated against all forms of dissidence, is carried out by elements of paramilitaries and vigilantes, who are not at all unrelated to the structures of power. We know that the entire war of attrition against organized rebellion converts the paramilitaries and the management of campesino organizations into tools of repression at the orders of the state. We name the political authorities and Mexican police as culpable for these episodes of violence and the violation of fundamental rights. We want to send a fraternal salute, and our sincere solidarity to those who from the trenches of the Sixth and the National Indigenous Congress (CNI) are still inexhaustible in defence of the land and territory and who never cease in their efforts to construct a better world. We know that the struggle will bring justice for the displaced of Banavil and of the people of Primero de Agosto. We know that justice will be served and reparations will be given to victims of the massacre of Acteal. We are confident that there will be a cease to the harassment of the Zapatista communities. We do now something we have already learned from the Zapatistas and this space of struggle that is the Sixth. Which is, that for those who do not give up, do not sell themselves out, and have resistance as their way of life, it is a long road, but it guarantees its fruits to those who continue to walk it. Stop the aggression against the Indigenous peoples! Stop the megaprojects imposed on the communities! The land belongs to those who work and protect it! Enough of forced displacement! 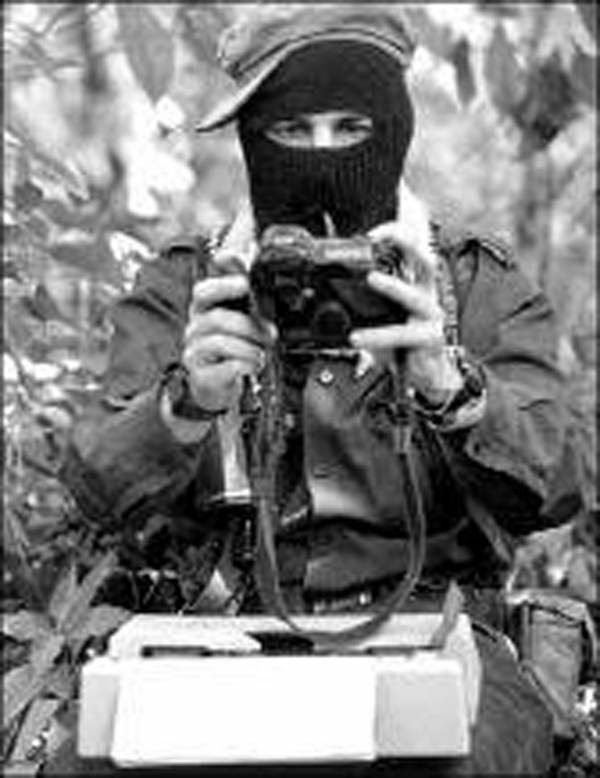 Out with the paramilitaries of Chiapas, Mexico and the world! Autonomy is life, submission is death!